We bring you a texture pack called Forgotten Lands 1.5.1, so you can use it with the map Eldaria Island Map, so you can enjoy it as is intended by its author, but obviously it can be used without the map. This pack of textures has a 16x resolution, like the Minecraft default texture, so we won’t need to use the MC Patcher, only need to copy and will be ready. This texture pack adds new look to several elements of our game, from the animals to the armor. How to install Forgotten Lands Texture Pack for Minecraft 1.5.1? Open .minecraft / texturepacks folder. Paste the downloaded file into the texturepacks folder. 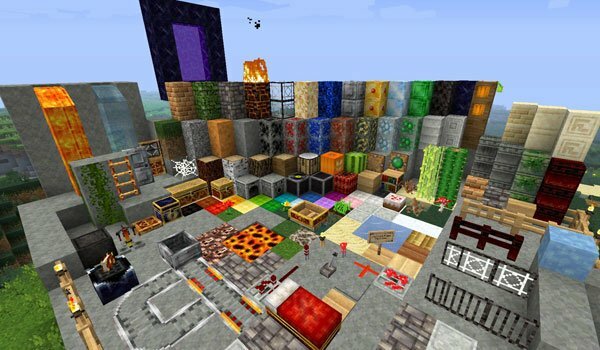 We already have our texture pack!